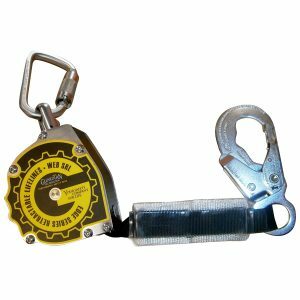 The Guardian Fall Protection 11″ Web Retractable Lifeline is designed with an ergonomic frame to make handling more comfortable for the user. It is also supremely lightweight and features a durable aluminum housing. With its quick-action braking system, this lifeline offers ultra-dependable performance, and it also meets or exceeds all applicable OSHA and ANSI regulations.